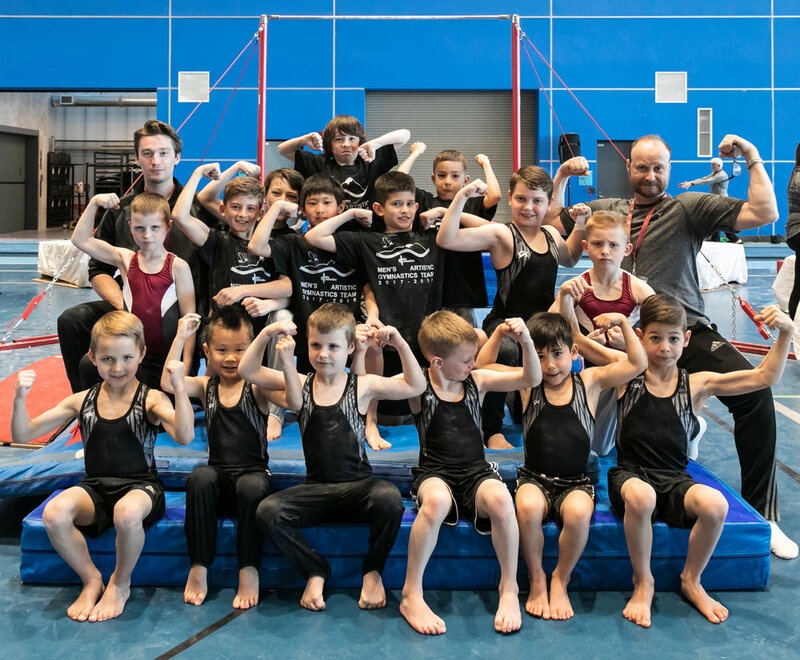 Our Advanced Program offers a range of teams for kids from 4 to 18 years old who are interested in acquiring advanced gymnastics skills. While these teams still have a strong element of fun, this program requires a greater time commitment than the Developmental Program and more focus from the athletes. Our youngest gymnasts train for just one hour per week, but gradually progress to twice a week for up to 3 hours. Most Advanced team members, except for the Gymstars, compete at an interclub or inter-school level. And, with the exception of the High School Program, membership on teams is by invitation or assessment. Entry into our Advanced Programs is by invitation or assessment only (with the exception of the High School Program, which is open to beginner and advanced gymnasts). Assessment camps are held in the spring and summer. The camps give you a look at the skills and conditioning required to participate in our Advanced Programs, and give coaches an opportunity to assess your abilities. At the conclusion of the camp, you will receive a report advising which program is the best fit for you. Participation in an assessment camp is subject to a fee and does not guarantee a spot in the program. Please contact the office or view online to see when the next assessment camp is scheduled.